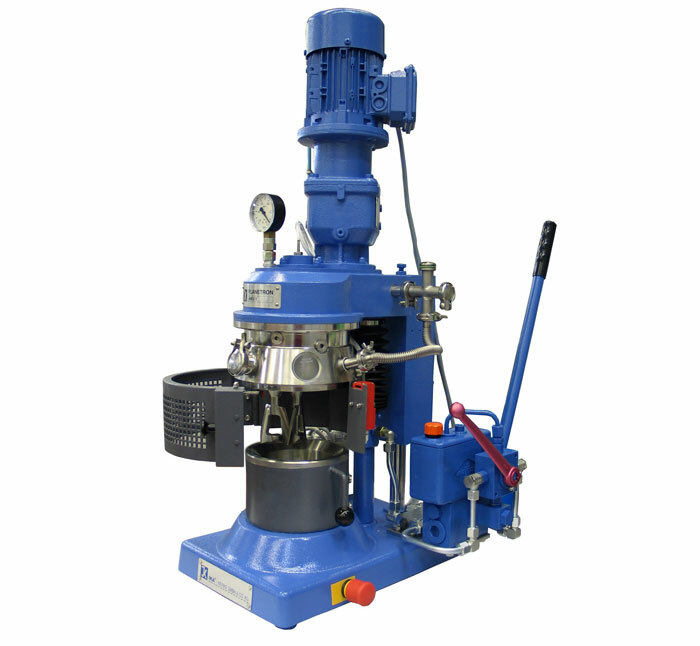 IKA heavy-duty PLANETRON® HKV kneading machines are vertical kneading machines with two DUPLEX kneading blades. 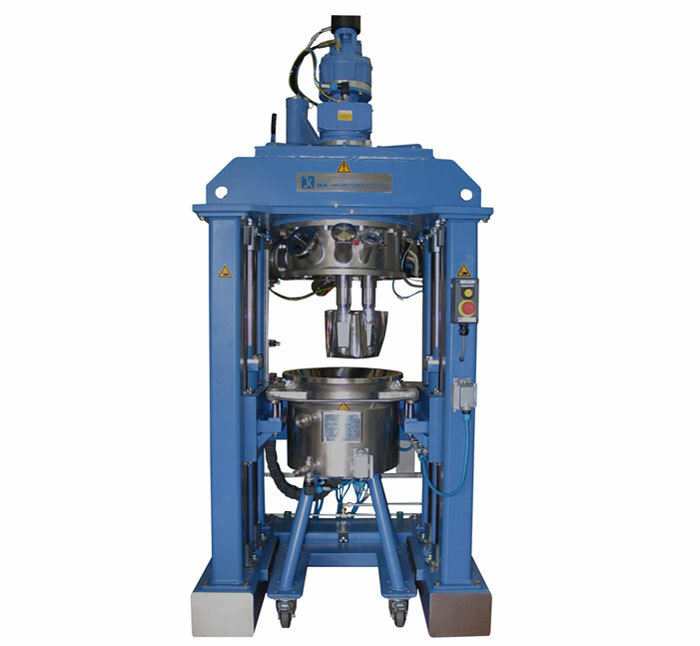 The design of the PLANETRON® kneading machine allows the kneading shafts to be supported on bearings and to be sealed outside the product container. 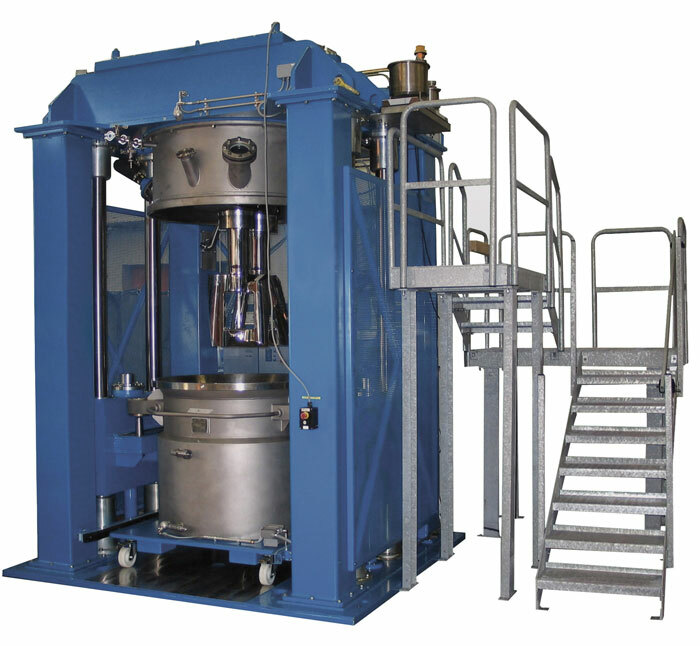 This enables the production of absolutely pure compounds. The excellent kneading and dispersion achieved with these kneading machines is based on the principle of intermeshing kneading blades, with one blade rotating in a planetary motion around the other and the two blades having a reciprocal stripping action. The strong increasing and decreasing pressure and shear forces thus created lead to thorough kneading and fine dispersion of the product within a very short timeframe. The kneading blades are supported overhung on stable roller bearings, positioned well above contact with the product. 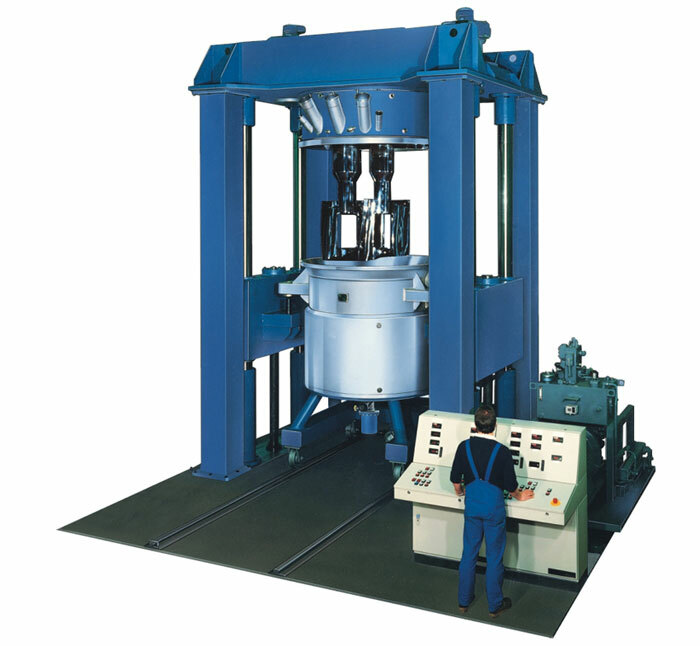 The machine is powered by a geared motor with a frequency converter allowing infinitely variable speed adjustment. All bowls in the HKV series are designed for cooling / heating and for vacuum operation. The machine is entirely controlled from a switchboard panel installed near the machine. The advantages compared with horizontally arranged kneading blades include low-maintenance seals on the kneading shafts, the option of processing minimum quantities and the possibility of using a number of kneading bowls.